Explore some of the best wineries the Hunter Valley has to offer. Enjoy stunning views and be entertained by a knowledgeable guide. Visit wineries and vineyards that are environmentally conscious. Travel in one of the worlds leading Eco friendly vehicles. Tour in style in one of our comfortable private luxury vehicles. Enjoy the panoramic views with a local wine aficionado. Passionate Hunter Valley wine tours, built on relationships and customer service. Dream of what you want from your Hunter Valley experience and let us take you to where your heart will sing. Discover great wines and fantastic hidden gems. Vintage Connections is perfect for beginners and connoisseur's of fine wine. At Vintage Connections we know that your time is precious. Our passion for the Hunter Valley, food and wine, and our attitude to customer service will ensure that your Private Wine Tour experience is AWESOME. We have a specific emphasis on quality and luxury with a dedicated focus on high end customer service. Drawing on many years of experience and local connections, we are able to provide you with a custom wine tour, to help make your perfect day in the Hunter Valley. Travel in style, comfort and safety in a modern luxury Mercedes Benz. Included in all our tours is an on board food grade refrigerator, quality chilled spring water, free travel to and from your accommodation in the local area, a local connected guide, and exceptional customer service. Some of our private wine tours include a gourmet lunch, and a gourmet cheese and wine experience, or a gourmet chocolate and wine pairing experience. We offer half day private wine tours, full day private wine tours and a two day private tour and transfers package. We also offer a gourmet food and wine tour, a chocolate and wine tour, a cheese and wine tour, an Eco tour, a romantic wine tour, and various custom wine tours. All of the wineries that we visit specialise in high quality boutique wine. Our wine tours are specific and also very flexible. You will enjoy insider privilege and a wine tasting experience that is matched to your taste. Please take the time to look at our reviews. 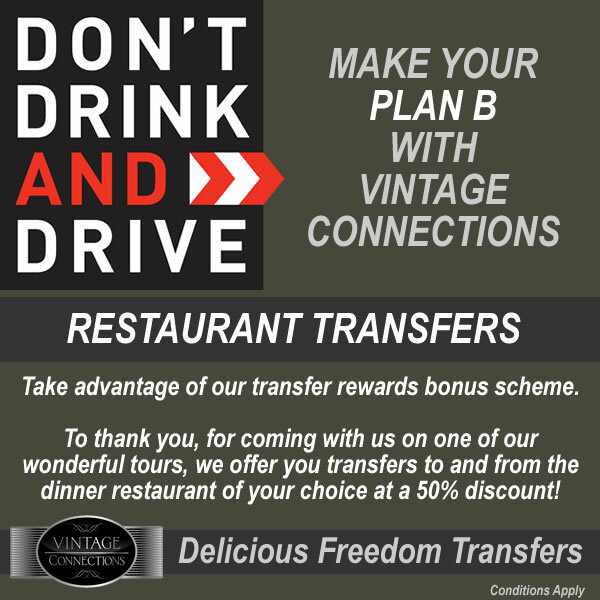 Half price after hours private transfers are available to wine tour participants. Eco friendly and carbon foot print sensitive we have a vehicle with the lowest emissions possible, and take care to minimize our packaging. We practice chemical sensitivity in our business operations. Get a quick taste of what the Hunter Valley can offer with a half day wine tour with an expert guide. See more, do more, with a full day wine tour throughout the Hunter Valley with Vintage Connections. Immerse yourself into a two day indulgent wine tour throughout the Hunter Valley with Vintage Connections. Experience the Hunter Valley with a private romantic tour entertained by an experienced local guide. Visit eco friendly breweries and cellar doors throughout the Hunter with a knowledgeable local guide. Connect to the right wineries and make your visit pure gold. 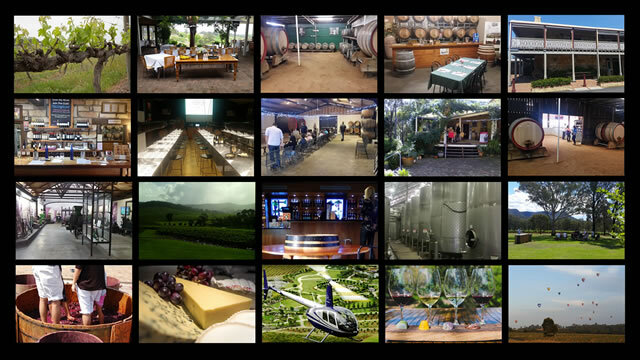 Inspirations – Includes world class cheese & wine or chocolate & wine experience at a top end winery, lunch *a free 750ml bottle craft beer or Bubbly* – first winery pre-booked by Vintage Connections, afternoon flexible or customer choice. 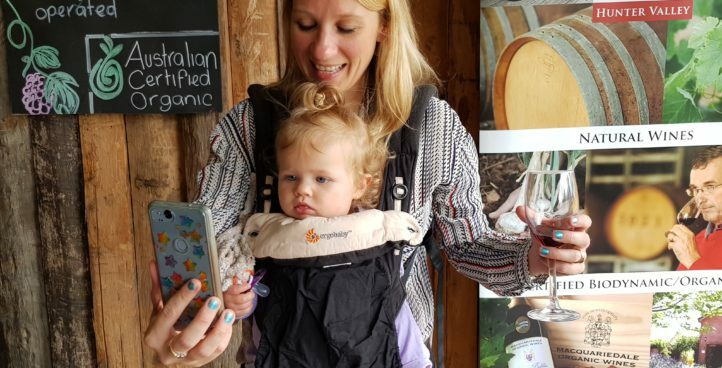 Eco Tours – Includes Organic wine matched meal – footprint and chemically sensitive – vegan friendly. You might be flying in to Sydney and wish to come to the Hunter via helicopter, or have booked a Romantic Tour that starts with a dawn balloon ride and a wine matched meal with a violinist, or you may have booked a two day tour and transfers package that includes grape stomping and a sunset sailing charter complete with prawn and fresh local oysters dinner…Let Vintage Connections take you to the place where your heart sings!! 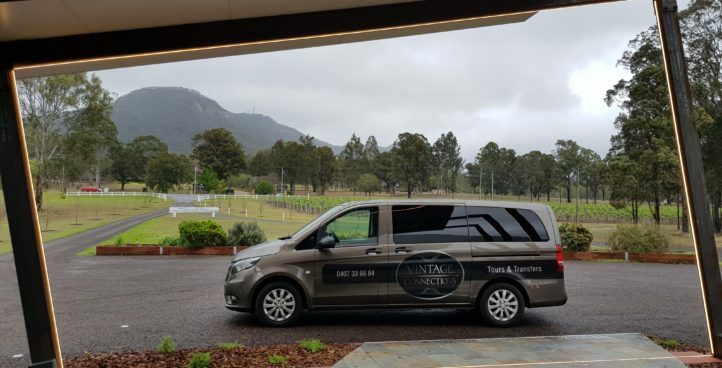 Vintage Connections provides a private transfer service in the Hunter Valley. You will travel in our luxury, climate controlled, Mercedes Benz which has an ANCAP 5 star safety rating. As an accredited and authorised service provider with the NSW Transport Commission, we take your safety and the safety of others seriously at Vintage Connections. 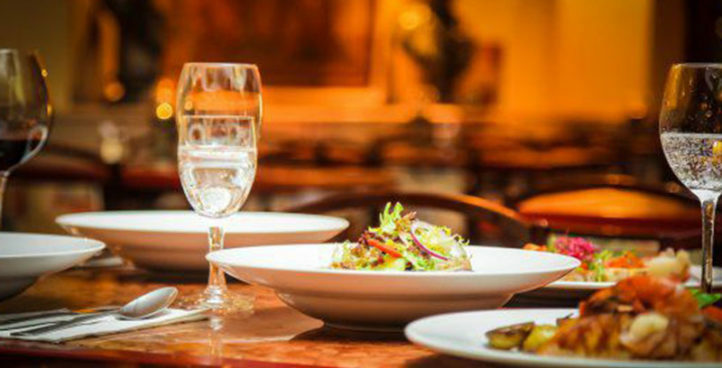 We have a range of return transfer options that include transfers to elegant food establishments, domestic and international airport terminals, shipping docks and to special venues and concerts. Specialising in transporting you and your party to and from a hunter valley restaurant of your choice. 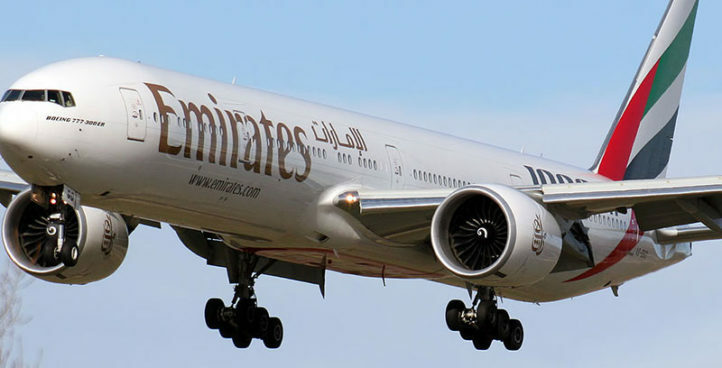 We are able to transport you and your group safely to and from the international and domestic airport terminal. 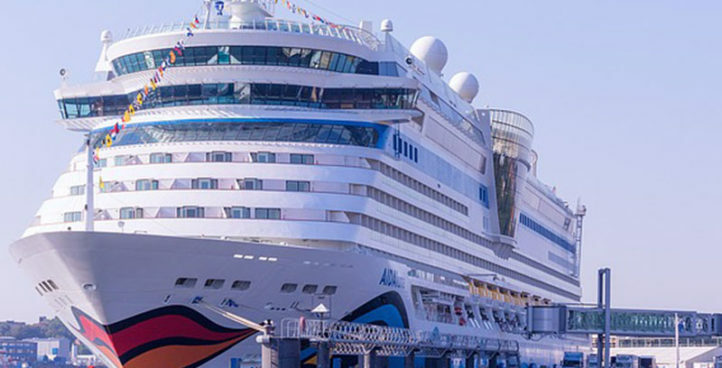 Return transfers are available from your cruise ship terminal to your pre-booked hunter valley accommodation. Relax and enjoy your concert with a Hunter Valley private transport service for you and your friends.